This motor boat must have been sailing along when all of a sudden it decided to jump up onto the rocks . . . . . If you're American you might say "go figure". Can't find my camera's battery charger - you haven't seen it have you? 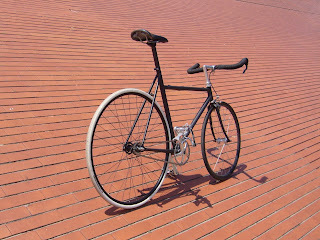 In the mean time you can click on http://www.fixedgeargallery.com/2008/oct/3/TomLillie.htm to be getting on with - enjoy! 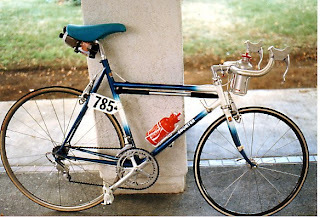 and 21 years later - Tom's Barcelona Beater. Only the frame & front wheel remain.